Introducing technology gives an additional benefit to your business. Augmented reality is a great way of storytelling. MenuVu allows you to visualize your menu in 3D enabling them to keep informed about the food choices and ensuring their expectations are met or even exceeded. MenuVu allows you to expand your market and remain a leading player in your market. Augmented reality MenuVu will assist the restaurant to show the menu on live platform where customers can virtually view the dish before ordering. MenuVu will have the capability of inter-app communication where the order list will be sent to the iPad placed next to POS or directly to existing POS . 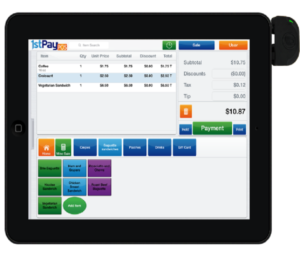 MenuVu offers integration with existing POS system seamlessly. By integrating with the POS, MenuVu will be one stop application in providing customers with hassle free dining experience. 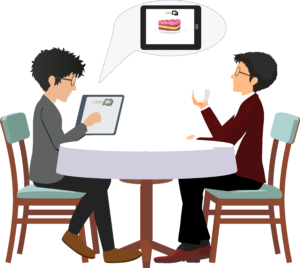 MenuVu & POS integration also helps restaurant managers and wait staffs in managing time efficiently and provide customers with pleasant dine-in experience.